As you recall, my son, Vasili has Atrial Septal Defect (ASD). Basically it is a hole in his heart. Everyone is born with a hole in their heart, it is called a foramen ovale. It is present in the fetus to allow blood to detour away from the lungs before birth. One in five healthy adults still have a small hole left over. So now you are probably thinking, what’s the big deal? Well, the hole is in the septum, which separates the heart’s left side from the right side. When there is a large hole, oxygen rich blood leaks from the heart’s left side to the right side. The blood is then pumped back into the lungs. This means the right side of the heart is working extra. In time the extra amount of blood flow in the lung arteries can cause some damage. So to correct this Vasili will need open heart surgery. If left uncorrected he could live, but could die later of heart failure. There are usually no signs of this defect, just a simple heart murmur, which is what Vasili has. Some children are more susceptible to bronchitis and pneumonia. Vasili had mild pneumonia last spring and this spring was on a nebulizer for a lung infection. On May 5 (which is also our wedding anniversary) Vasili will have open heart surgery. It’s hard to hear, read and think about, especially if you know this very active little man, but we feel confident knowing he is with one of the best Pediatric Cardiology team in the country! We leave for Boston May 3. He has to have an Echo, EKG, blood work and all his work up early May 4. The hospital offers family housing close by at a very discounted rate so we can stay near him and either my husband or I can stay in his room. He will be in the hospital until May 9 and then we get to come home! But he needs to rest for the next 6 weeks. We are fortunate enough to have my parents nearby, who will care for Sibylla (3) and Liev (5 months). We are also fortunate to have so many friends who are willing to lend a hand! My mommy’s group Toga Tots, my Stroller Strides friends and the Navy and Wardroom Wives are all here to support us! We will keep everyone updated on his progress! Good luck Vasili! We will be praying for you before, during and after your surgery! I had no idea you were going through this. My thoughts and prayers are with all of you while you overcome (which you surely will!) this obstacle. All my love!!! Even an old salt is brought to near tears. 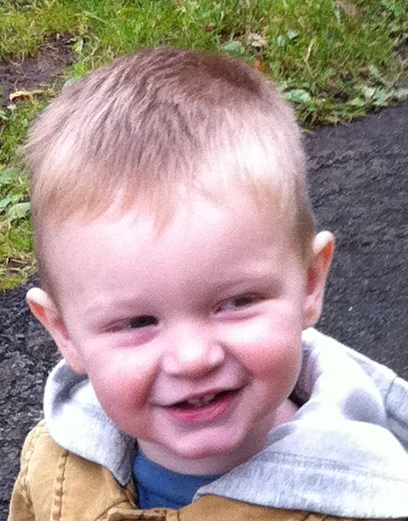 My grandson who is 2 is the love of my life, my smile, and my spirit. I feel your concern. You are in my thoughts and prayers. As a former Respiratory Tech, I understand the ins and outs of this ‘procedure’. Please keep us posted!